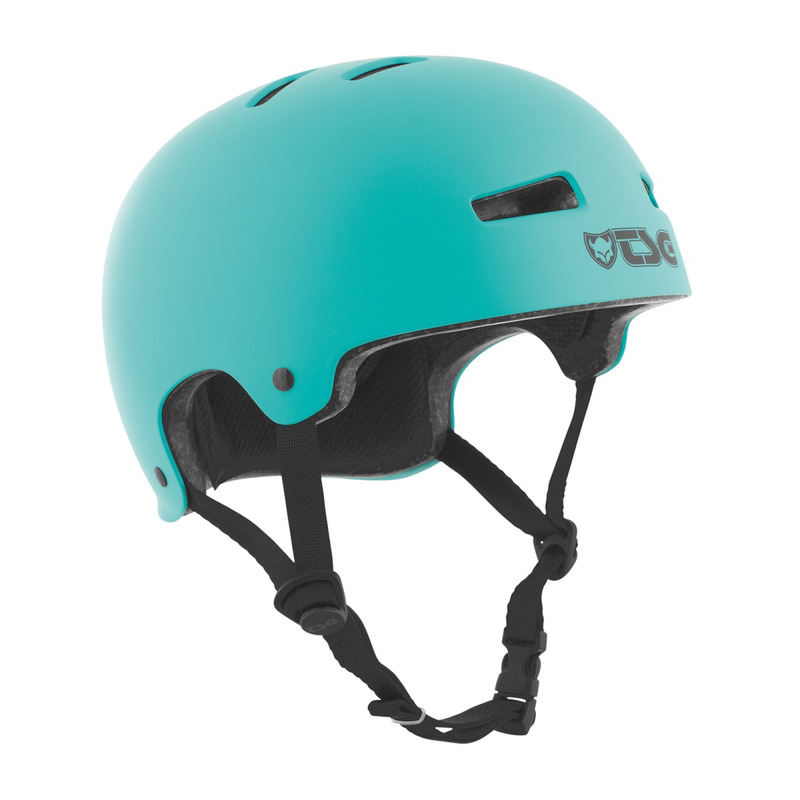 It features a tough skate-style hardshell construction, which securely protects all the useful bits of your noggin. 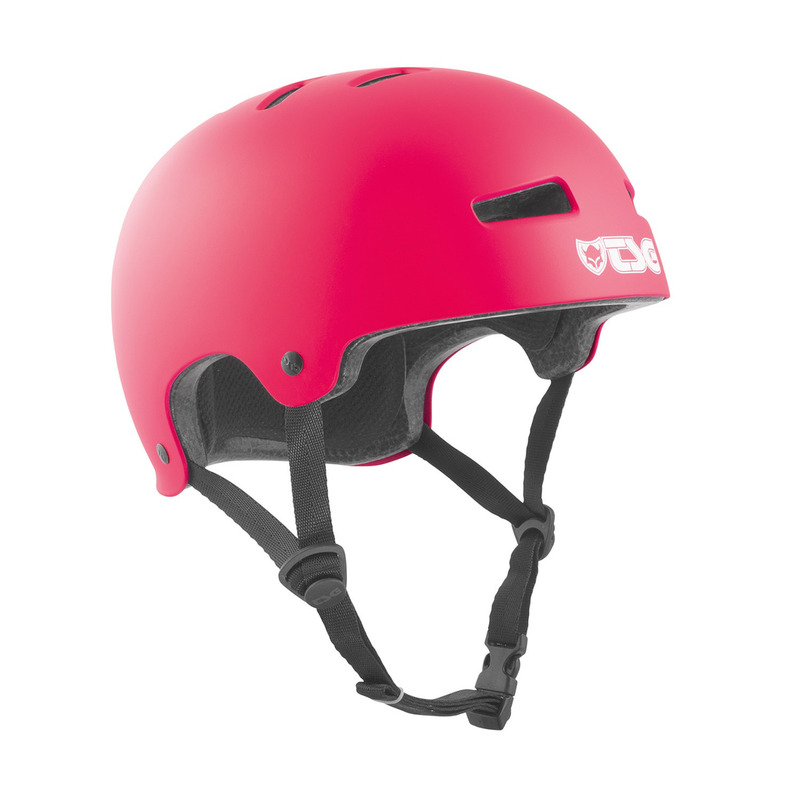 The design curves anatomically around the head for a great fit and tailored wearing comfort. 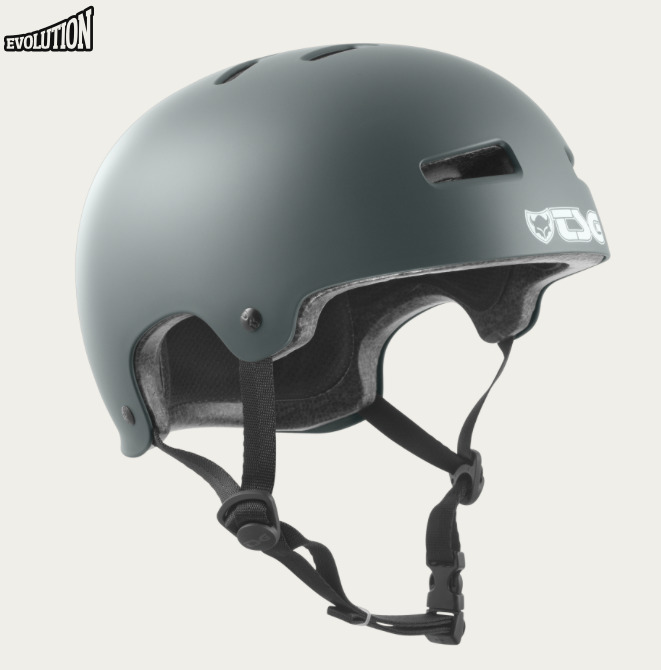 The Evolution helmet is offered in a large range of colors and graphics. For maximum safety TSG hardshell construction combines a super strong injection moulded outer shell and a shock absorbing EPS inner shell. Premium heat-sealed padding that is pre-formed and quick-drying: Removable and machine (hand) washable.